Tayla Harris is an Australian rules football player and boxer. She currently plays for the Carlton Football Club in the AFL Women's (AFWL). Previously, she played for Brisbane in the inaugural AFL Women's season. 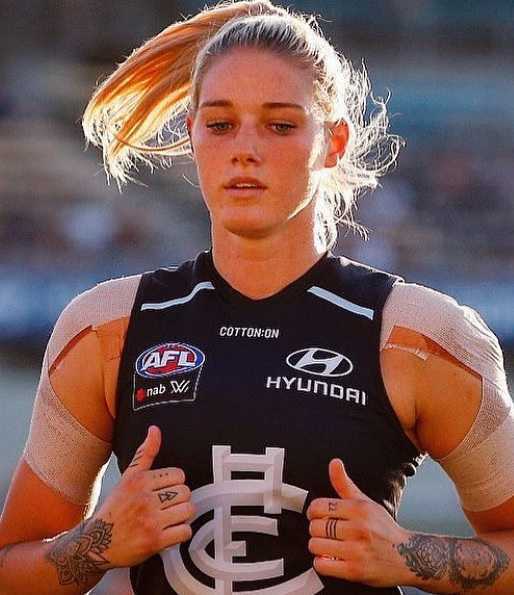 She made headlines in 2019 after she became the victim of sexual trolling on the Internet regarding her picture taken by AFL Media photographer Michael Wilson and posted it online by Seven Network. She has over 77.3 followers on her Instagram. Her picture of kicking a goal against the Western Bulldogs became the target of sexist Internet trolls. Tayla Harris was born on 16 April 1997. She was born in Australia. She holds Australian nationality. Her zodiac sign is Aries. She grew up in Brisbane's northern suburbs. She started playing competitive football for Aspley when she was five years old. Until 2010, she played in a mixed competition with young girls and boys. She attended primary school at Prince of Peace Lutheran College. She later attended Albany Creek State High School. She began playing senior football at the age of 15. She played for Zillmere in the AFL Queensland Women's League (QAFWL). She won the league best and fairest award in her first season there. She is a five-time All-Australian representing Queensland in the youth girls competition. She was drafted to the Melbourne representative as part of the AFL Women's exhibition series. She was 17 when she was drafted. She also played as part of the Brisbane Lions' representative team in 2016. She moved to Melbourne in 2017 to play for St Kilda Sharks in the VFL Women's competition. She was one of two marquee players signings announced by Brisbane. She made her league debut in the club's inaugural match against Melbourne in 2017. She was nominated for the league Rising Star award after posting 2 goals, 12 disposals and 7 marks performance against Fremantle. AFL Players Association named her "Player of the Week". She was ranked equal fourth in the league for total goals scored with 2 goals and first in the league for contested marks with eight at the conclusion of two rounds. She was listed in the 2017 All-Australian team at the end of the season. She was traded to Carlton in May 2017 in a complex trade which includes 4 teams, 5 players and a draft pick. Playing with her new club, she scored 5 goals in 6 matches in 2018. She tied with Darcy Vescio and shared the club's leading goalkicker award with her. She has fought 5 professional boxing. She won 4 of her professional boxing fights by decision and has 1 draw. 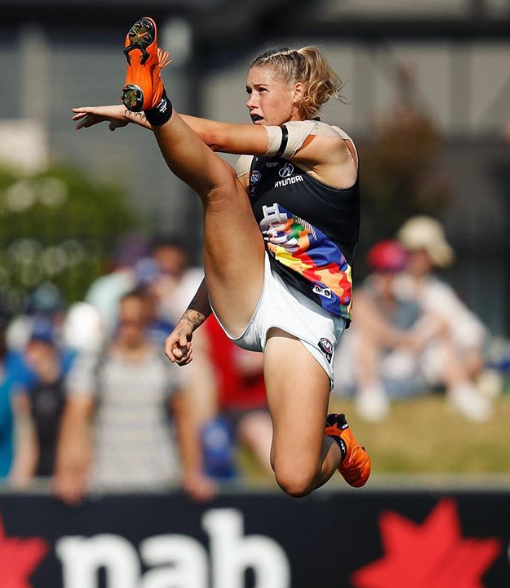 AFL Media photographer Michael Willson took a picture of Tayla Harris kicking for the goal during a match against the Western Bulldogs in 2019. The picture went viral on social media when Seven Network posted it on social media. It became the target of sexual internet trolling. Several AFLW players including Erin Phillips, Darcy Vescio, Geelong player Patrick Dangerfield, cyclist Anna Meares, AFLW head of football Nicole Livingstone and Australian Football League chief executive Gillon McLachlan criticized the trolls. Federal minister for women Kelly O'Dwyer also criticized the troll. Australian Prime Minister also criticized those trollers calling the incident as "cowardly grubs". All of them condemned Seven's decision to remove the photo. They later removed the photo and apologized as well. Who is Tayla Harris Dating? The Australian rules footballer is unmarried. She young and had just passed her teenage. Also a boxer, she has maintained a low profile regarding her personal life. No rumors about her affairs have surfaced yet. She might be single or dating someone. How tall is Tayla Harris? Tayla Harris stands at a height of 5 feet and 10 inches tall. She has an athletic body build. Her other body measurements are currently unavailable. 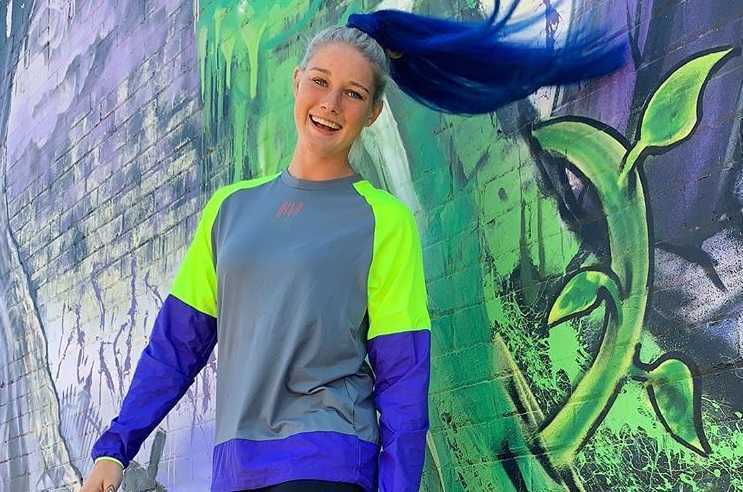 What is Tayla Harris Net Worth? Tayla Harris mostly earns from playing rules football in the AFWL. She is also a professional boxer. Her net worth as of 2019 is currently unavailable. It will be updated soon. She is a dog lover and has dogs.